Inspired by the New Hampshire Writer’s Network Live to Write – Write to Live blog, I’ve decided to start my own regular posts about what I’m currently reading in books, audio books and blogs, and what I’m working on in my writing. I hope to make this a regular (weekly or biweekly) feature on the blog. As Spring timidly begins to show her reluctant face, things are picking up. I have a busy few weeks ahead and it seems the first half of summer is already spoken for. In preparation of events to come, I’ve been quiet on the social media front. While I have certainly fallen behind on my blogging, I haven’t fallen behind on my reading. In fact, with 13 out of 44 books read so far this year, I’m one book ahead of schedule on my 2014 Reading Challenge! Here’s a look at what I’ve been up to. In the last few weeks, my selection of reads have been across a variety of genres. I took a nostalgic trip to my younger days, listening to the audio book of The Perks of Being a Wallflower by Stephen Chbosky. I first read this as a teen, and I was surprised to find how much of it stayed with me over the years that have passed. I read my first Neil Gaiman book, The Ocean at the End of the Lane, a magical and transformative read. I listened to the audio book read by Neil Gaiman himself which itself was a treat! I read Mr. Penumbra’s 24-Hour Bookstore, a fun and quirky read. I flew through a lighthearted read, The Men I Didn’t Marry, and slogged through Proof of Heaven, a book I thought I would enjoy but didn’t. 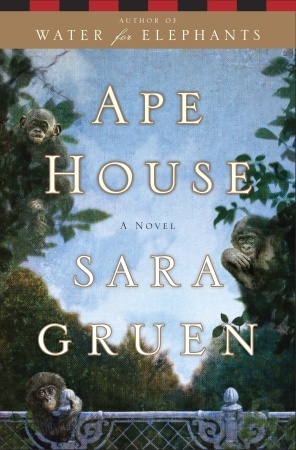 Now I’ve just picked up Sara Gruen’s Ape House. Have you ever loved a book so much, you were afraid to read another book by the same author out of fear of not loving it as much as the first? Water for Elephants ranks among my favorite books of all time, and since reading it years ago, I’ve avoided reading any of Gruen’s other novels. I have finally put my reservations aside to read this book that I’ve wanted to read for so long. After going through two rounds of critiquing with a trusted writer friend, and another set of revisions, I’m preparing to submit a short story for publication. This will be my first attempt at submitting a piece I have written, and I am equal parts excited and anxious. I’ve begun researching literary magazines to possibly submit to (more on my lit mag adventures later) and am bracing myself for the rejections that are sure to come. I will be sure to share my progress along the way! I love these tips from Alice Hoffman. A collection of short videos from published authors sharing their advice. From the Write Unboxed blog, how to create an authentic sense of place in fiction. What can I say, I just LOVE quotes about writing. This is a great collection of some great ones from Hemingway. I enjoyed this article and hope to get a head start on a few of these things before I enter the next decade of life! What are you reading? What writing projects are you currently working on? Share your reading and writing adventures in the comments, and feel free to link back to your own blog! This entry was tagged Audio books, Neil Gaiman, Reading Challenges, Reading Goals, Sara Gruen, What I'm Reading, What I'm Writing, Writers. Bookmark the permalink. Thanks for recommending the ’10 Life Lessons to Excel in your 30s’ – it is a great read with some good advice! Perhaps not obviously related to writing – but doing something for yourself everyday and refocusing on one or two dreams and ambitions means writing for me.